It's the same prison — but the different wings are worlds apart. 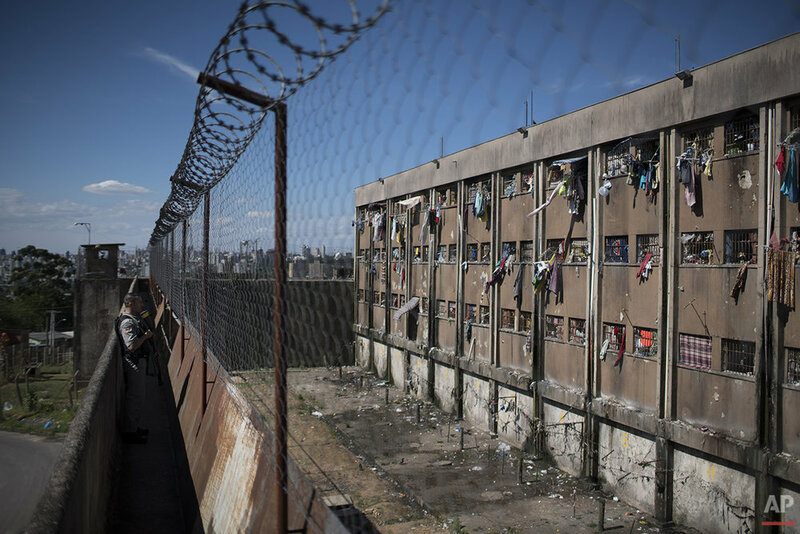 Violent drug gangs rule in most of the sprawling Central Prison in the southern Brazilian city of Porto Alegre, bursting with over twice its capacity of fewer than 2,000 inmates. Members commit crimes via cellphones, traffic drugs and lure other prisoners to join their ranks. One only catches glimpses of what goes on inside from behind tall metal fences topped with razor wire, where guards keep an anxious eye on inmates, packed 10 to a cell that should sleep only four. Putrid garbage is strewn beneath the barred windows, with inmates peering out and flashing gang signs between sheets, shirts, shoes and shower towels hung out to dry. Yet elsewhere the cells are neater, tidier, the violence less. These are the few cells for inmates on work programs, those voluntarily detoxing from drugs and for those in the LGBT community at high risk of being attacked, but their special protection is unquestionably an exception. 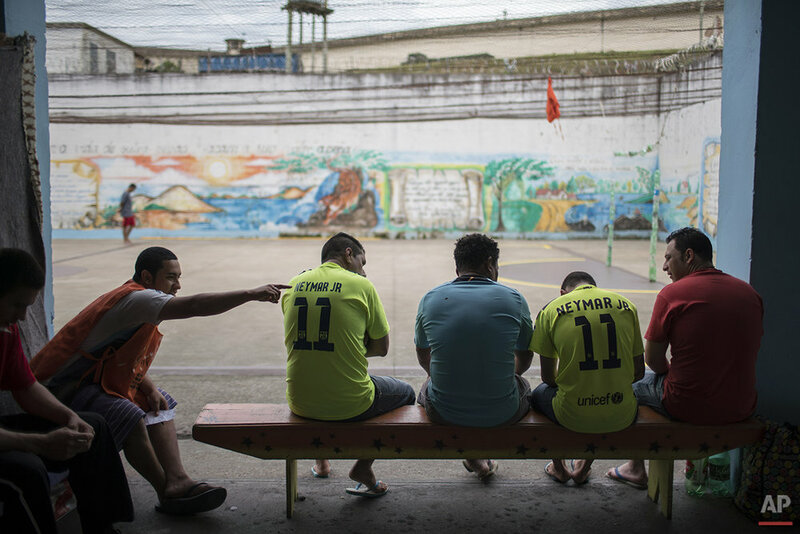 With more than 600,000 inmates behind bars, Brazil has the fourth-largest prison population in the world after the United States, China and Russia, according to Brazil's Justice Ministry. 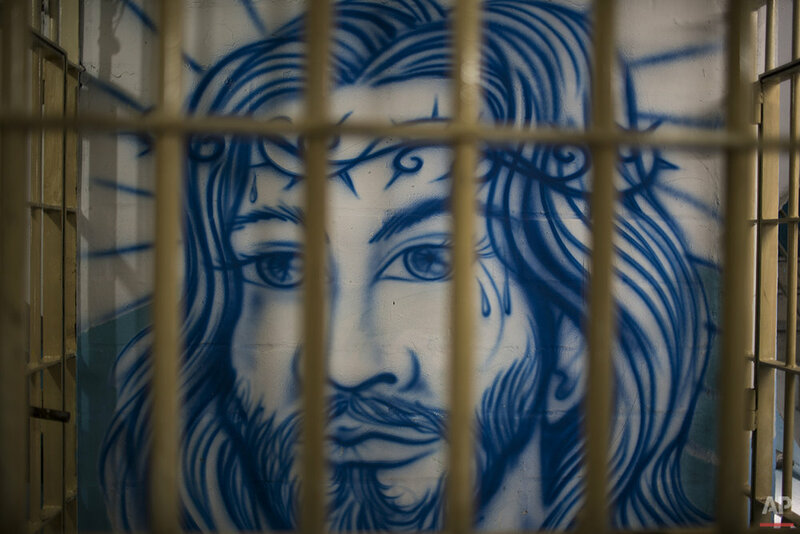 As with many nations in Latin America, the penitentiary system is chaotic and cruel, with violent uprisings across Brazil breaking out frequently as prisoners rebel against horrific conditions. 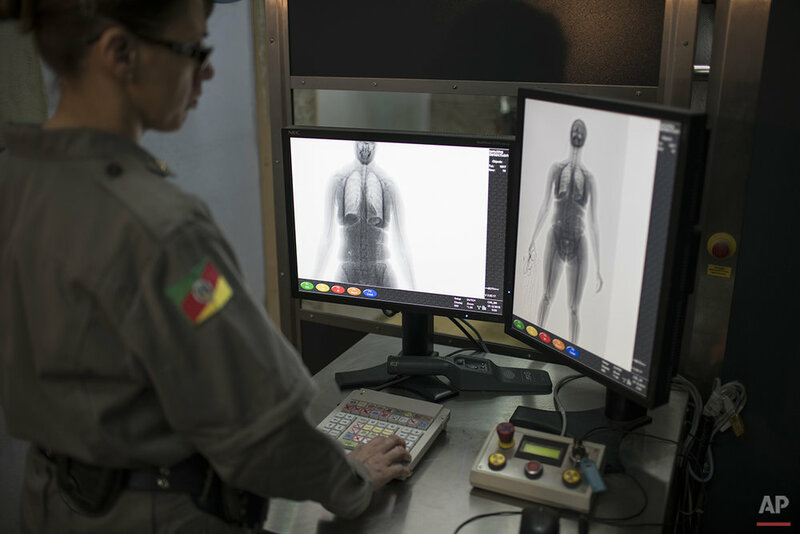 The Central Prison in Porto Alegre has been called out in Human Rights Watch reports for its particular brutality, both prisoner-on-prisoner and for how inmates are treated. Prisoners are housed in different cells according to which gangs they belong to in an effort to tamp down violence. 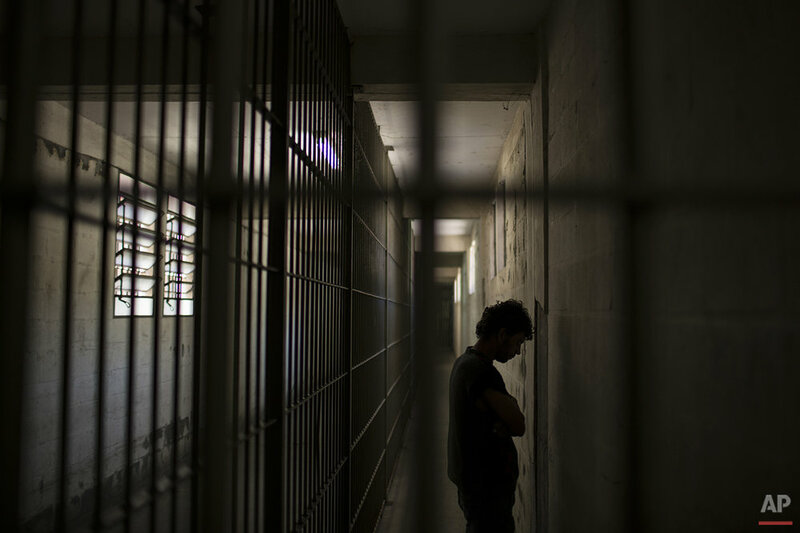 Eugenio Terra, president of the Porto Alegre Association of Judges, denounced the prison's conditions before the Human Rights Commission of the Organization of American States in 2013. "We want incarceration to take place with dignity," he said, "because the way it is done today favors the gangs and the power they hold at the prison." Since that denunciation, some improvements have been made to areas such as the clinic, which mainly treats outbreaks of tuberculosis, a disease common inside prisons. But with more and more inmates arriving each day, attempts at bettering this brutal place just seem to fall further behind. Diego Henrique, who is packed into a cell with 10 other men while serving a second time prison on drug trafficking charges, said he has scant hope of improvements. "For me, prisons are all the same," he said. "The only thing that changes is the color of the bars." 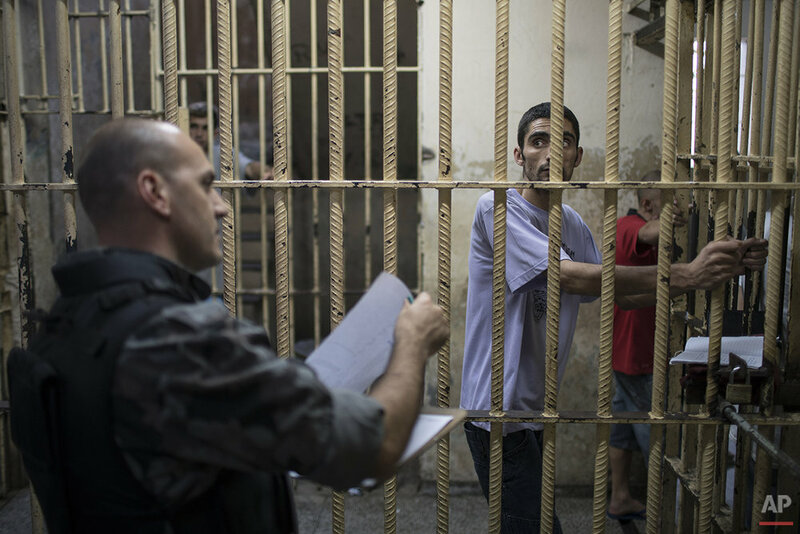 Text from the AP news story, AP PHOTOS: Inside one of Brazil's packed prisons.